Q. 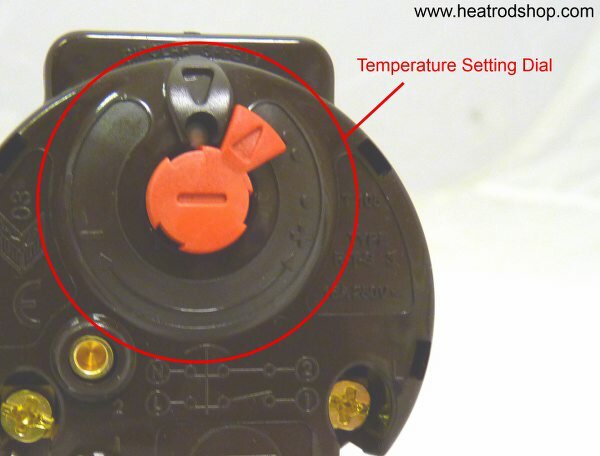 Can a Thermostat be changed without draining the complete Cylinder? 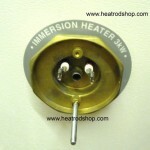 Ensure the power supply is isolated before removing the immersion heater cover. Disconnect the electrical connections from the thermostat body. 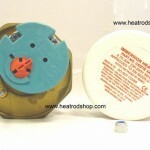 Carefully withdraw the thermostat and replace with a suitable new thermostat. Note – With Plug in thermostats resistance will be felt when with removing the faulty thermostat, care should be taken not to twist the thermostat from side to side during its removal. 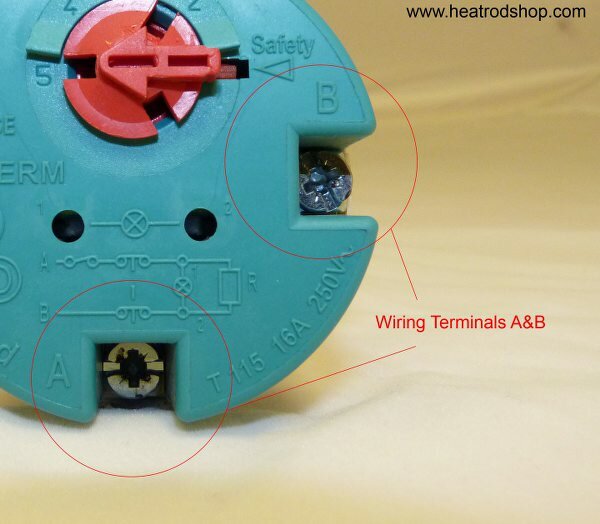 When replacing the plug thermostat with a replacement care must be taken to ensure correct location of the male tag into the tightened female Tag. Q. What are the temperature setting on a Cotherm TSE 00187 Thermostat? Q. How do I connect the wiring to a Cotherm TSE00187 Thermostat? 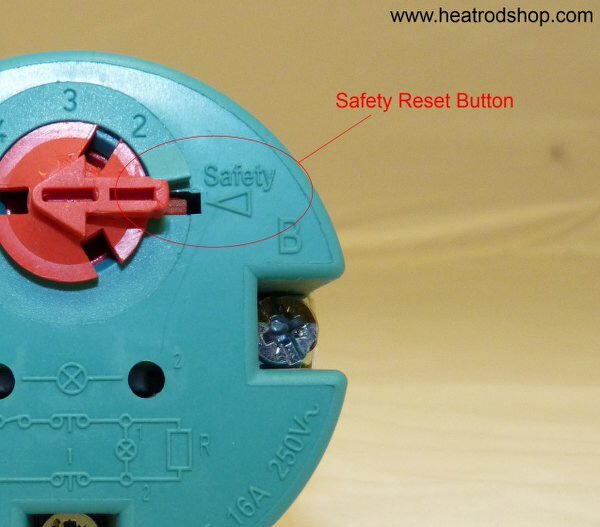 Q .Is there a reset button on a Cotherm TSE00187 Thermostat? Q. What are the temperature settings on a Thermowatt RTS3 Thermostat? A. Operating Trip – Single Dot is the lower limit and Double Dot is the higher limit. Q. Is there a reset Button on a Thermowatt RTS3 Thermostat? Q. 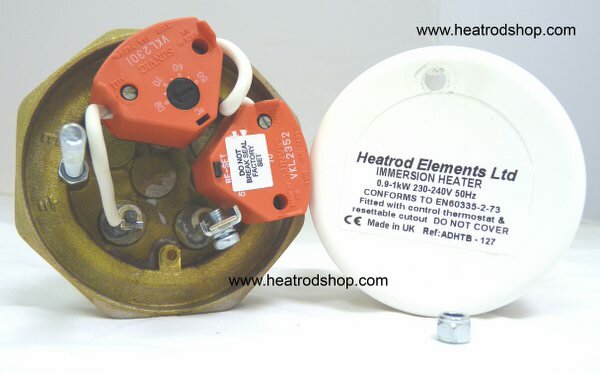 My Immersion Heater needs replacing how I know what to buy? A. 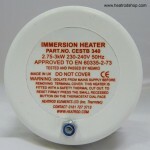 All our Immersion heaters have a product code either on the side wall of the cover or on the top of the cover. This code will be a series of letters and numbers please see images. Q. 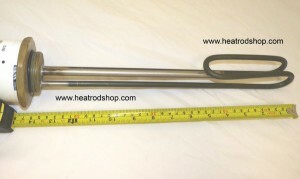 Do all domestic Immersion Heaters require a second level of protection against over temperature operation? A. Yes this can take 3 different forms. Single control thermostat and separate over temperature manual reset button cut out. 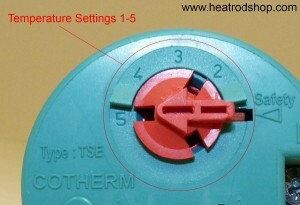 Single control thermostat with a second manual reset over temperature thermostat. 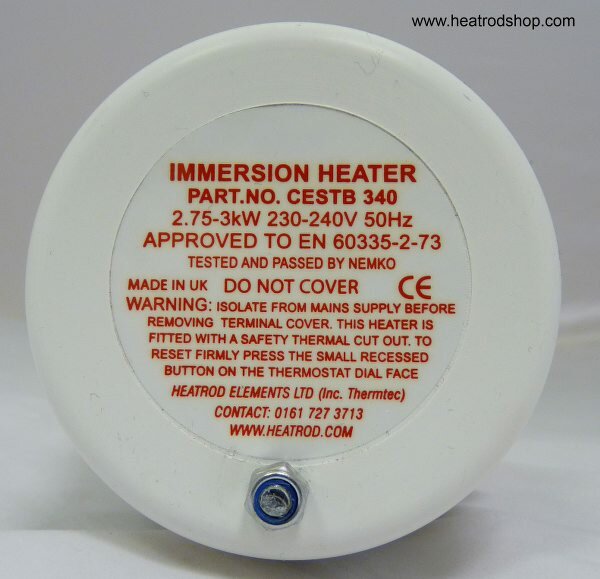 Q. I can not find the product code for my immersion heater what information do I need to purchase the correct replacement? Q. 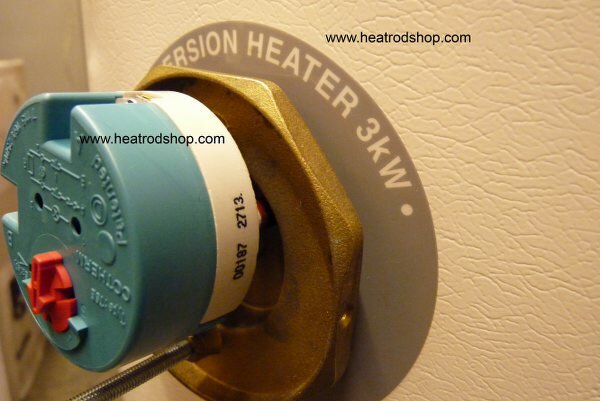 How do I tell if my hot water system is vented or unvented? A. Unvented cylinders work directly from the mains supply of water and are essentially a hot water storage cylinder; where as vented cylinders are connected, via a vent pipe, to the cold water storage tank which is usually located within the loft space of most properties. Q. 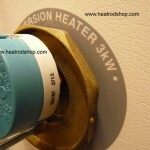 How do I know the Size of the thread on my immersion heater brass boss? A. 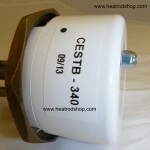 All domestic immersion heaters have a BSP thread size on the brass boss. The actual measurement across the diameter of this boss is 0.25 inches larger than the stated BSP thread size. 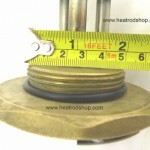 For example a 2.25 inch BSP thread will have a diameter of approx 2.5 inches see attached illustration. Q. 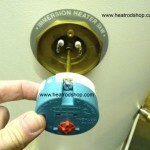 How do I find out the length of my immersion heater? A. 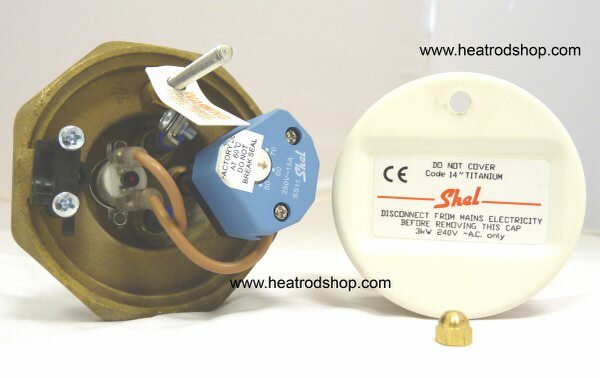 The only way to be certain of the length of your immersion heater is to measure from the underside of the brass boss to the end of the heating element. 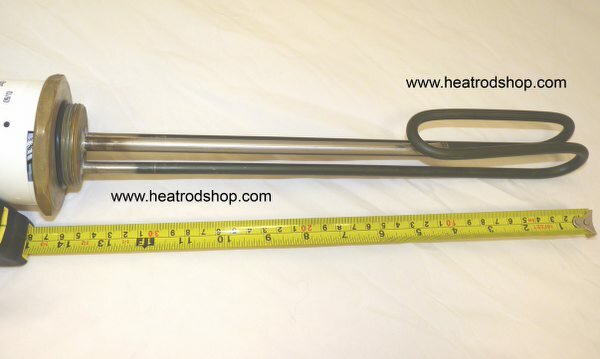 However if your immersion heater is fitted in the side wall of your hot water cylinder (horizontally) then it will usually have a length of between 11 and 16 inches. 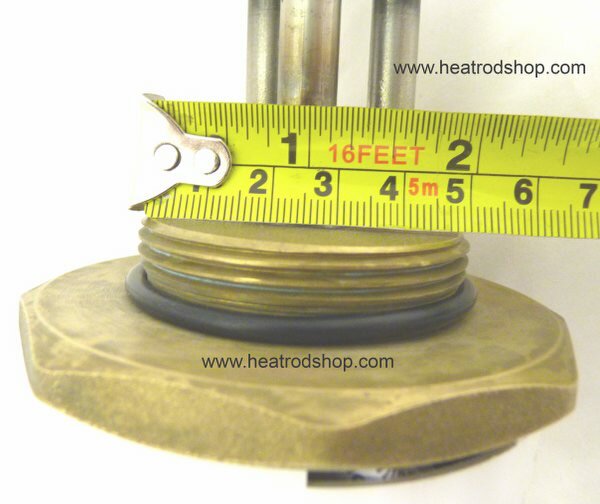 If it is fitted to the top of your hot water cylinder (vertically) then it usually has a length of 18 to 36 inches dependant on the size of your hot water cylinder. Q. 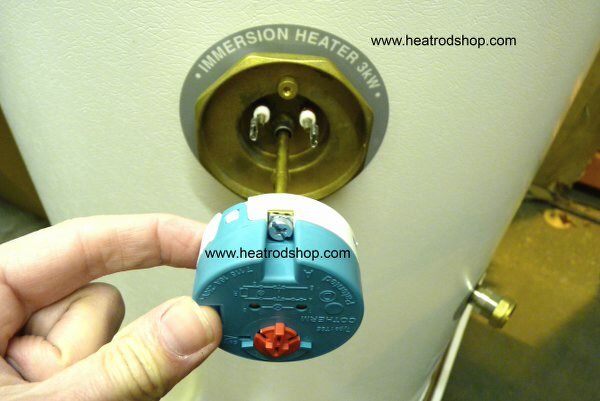 My Immersion heater is not working – How do I know what’s wrong? A. 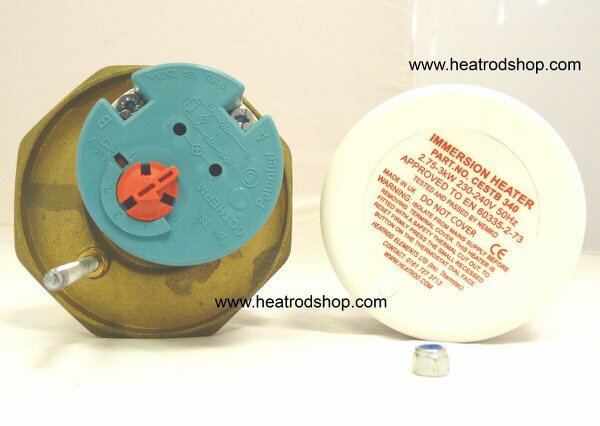 There are 5 possible reasons for the immersion heater to stop working. 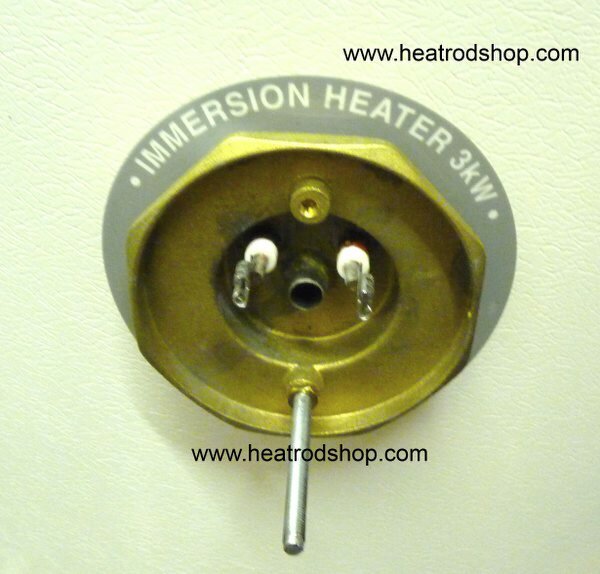 There is no electricity supply to the immersion heater. 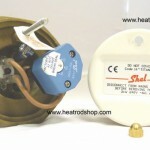 The over temperature trip in your Immersion heater”s thermostat has cut out. 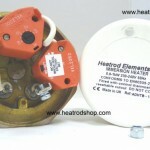 The thermostat in your immersion heater is faulty. The immersion heater has failed to earth. The immersion heater has gone open circuit.